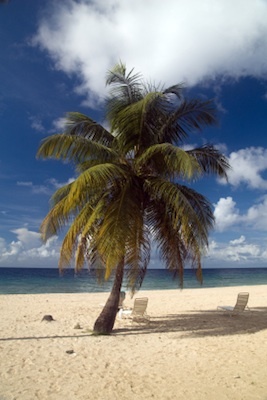 If you’re considering a trip to St Croix, Colony Cove Beach Resort is a great option for lodging. It’s essentially a set of modern, beachside condominiums that are moderately priced and have great amenities. In my opinion, Colony Cove Resort is an excellent choice for families or friends traveling together because the “all suite” condominiums are large and are right by the beach. Each condominium unit contains 2 bedrooms, 2 bathrooms, a kitchen, a small washer and dryer, a living/dining area, and a balcony. Colony Cove Resort is 5 minutes from Christiansted and it shares a beach with Club St Croix. This resort is definitely one of the top caribbean luxury resorts particularly because of its great amenities. 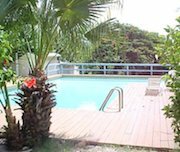 The resort has a freshwater pool, 2 tennis courts, a daily maid service, an adjacent bar and restaurant, and an excellent watersports center. There are 2 restaurants in walking distance from the resort that serve good lunches and dinners, and there are also 2 grocery stores nearby if you would rather use your condo’s kitchen to cook some meals. And since Colony Cove Beach Resort is only a few minutes from Christiansted, you can easily enjoy all the shopping, bars, restaurants, and nightlife that Christiansted has to offer.